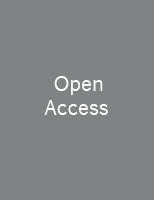 The Open General and Internal Medicine Journalis an Open Access online journal, which publishes research articles, reviews, letters and guest edited single topic issues in all areas of general and internal medicine. The journal serves to help promote improved health and health care internationally, the quality of medical care, disease prevention and research. In addition to covering clinical research on problems in general/internal medicine, the journal also covers topics such as epidemiology, prevention, the health care system, curriculum development, and other non-traditional themes. The Open General and Internal Medicine Journala peer reviewed journal, is an Open Access online journal, which publishes research articles, reviews, letters and guest edited single topic issues in all areas of general and internal medicine.